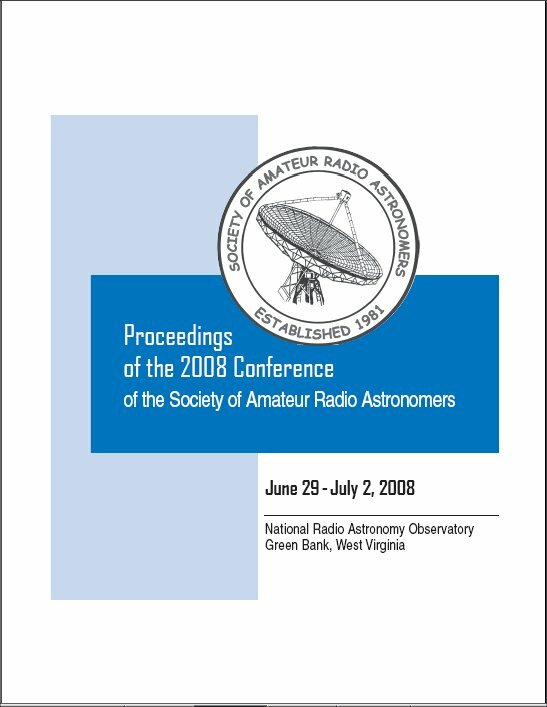 Now available -- Proceedings, 2008 Conference of the Society of Amateur Radio Astronomers. June 2008. Published by the American Radio Relay League. ISBN 0-87259-136-0.
members: $20 postpaid in US, $25 postpaid elsewhere. 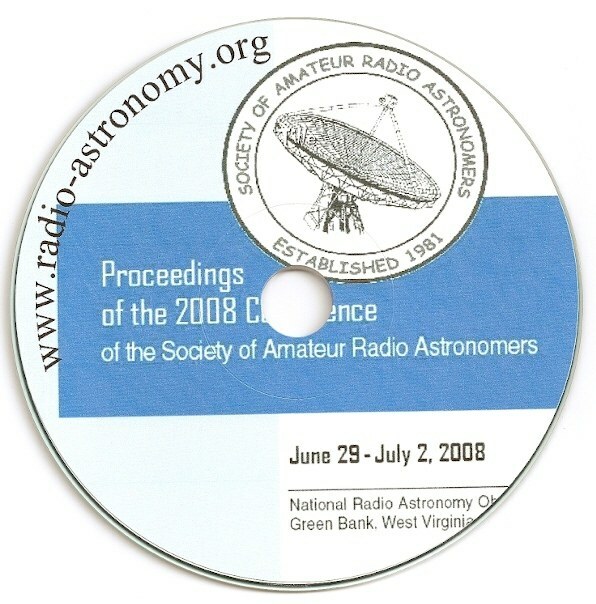 Now available-- 2008 Conference Proceedings on CD-ROM. Buy both: Members $30 postpaid in US, $35 postpaid elsewhere. Ku-band Microwave Radio Astronomy Interferometry Laboratory, by David Fields, N4HBO, et.al. TAOSON - Tamke Allan Observatory Solar Observation Network, by Bill Lord et.al. Solid State Spectral Imager (SSSI) on a Chip and the Search for Extraterrestrial Life, by Thaddaeus Hannel et.al. Interferometry of the Sun at 4 GHz, by Wayne Thresher, et.al.